Listed below are several terrific programs we participate in that allow us to raise money for our school, and cost nothing extra out-of-pocket. Please take a moment to read through the description and if applicable follow the link to make sure that you are benefiting our school. The PTO has set a goal of $5000 this year through the various free money programs, so they really make a difference to our school! Watch for classroom competitions throughout the school year on some of these programs. When you shop AMAZON SMILE 0.5% of the purchase price will go to DG Cooley Panthers PTO. To shop at AmazonSmile simply click on https://smile.amazon.com/ch/80-0850780 or copy and paste into your web browser on your computer or mobile device. You may also want to add a bookmark to smile.amazon.com to make it even easier to return and start your shopping at AmazonSmile. For each Box Top collected from participating products, we receive $0.10. Simply clip Box Tops from some of your favorite brands and place them on a collection sheet (these are sent home in Friday folders at various points during the year) or in an envelope and send them in to your child’s classroom. Other ways to earn include bonus certificates during in-store special promotions, on specially marked packages and even at checkout, printed on your receipt. 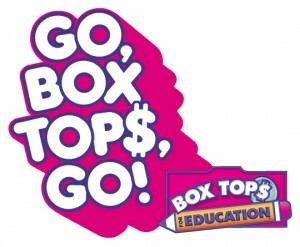 For participating products, visit http://www.boxtops4education.com/participating-products. TIP: Please note the entire Box Top with a valid expiration date is needed. Each time you shop at a participating Martin’s or Giant Food using your Bonus Card, DG Cooley will earn credit for a percentage of your total purchases. At the end of the program, DG Cooley will be awarded a check for the total amount earned through participation in the program. Visit www.martinsfoods.com/aplus/ or www.giantfoodstores.com/aplus to make sure you are enrolled, they require that your card is “relinked” each year. #ID 20293 For DG Cooley #00293 for Giant.